On the 24th of March, earlier this year, a crash occurred that pulled the media into a frenzy over the safety of airline travel. On the same day, Andrew Koski, decided he would test his theory of how easily worldwide media could be manipulated. 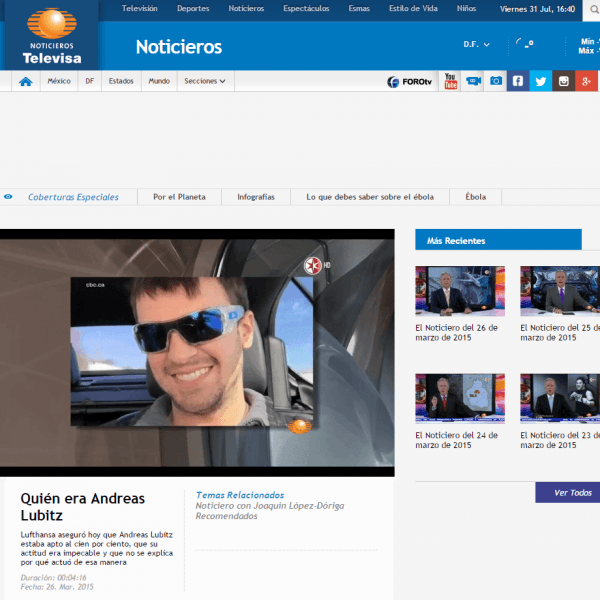 With the help of social media, he achieved in getting his picture to appear on numerous search engines and ultimately in the media as the real image of the pilot who deliberately crashed the plane. The crash that occurred was of Germanwings Flight 9525, which was a scheduled international passenger flight that ran from Barcelona in Spain to Dusseldorf in Germany. On the ill-fated day, the airplane should have terminated at Dusseldorf Airport but instead ended up in a fiery crash in the French Alps, killing all 144 passengers and six crew members on board. The crash was caused by co-pilot Andreas Lubitz, who had been treated for mental health issues in the past and was once labelled “unfit to work” by a doctor. 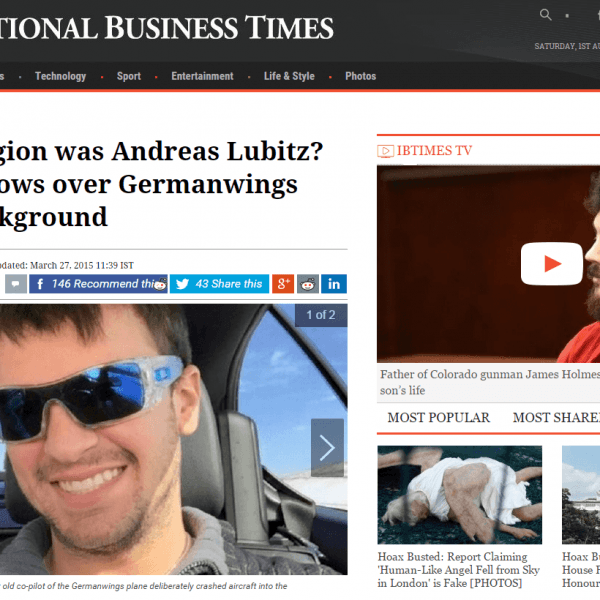 Lubitz kept this vital information from his employers and continued flying aircraft for Germanwings, a low cost airline owned by Lufthansa. Andrew Koski, of Chicago, Illinois, used the incident to test his “media manipulation” theory. 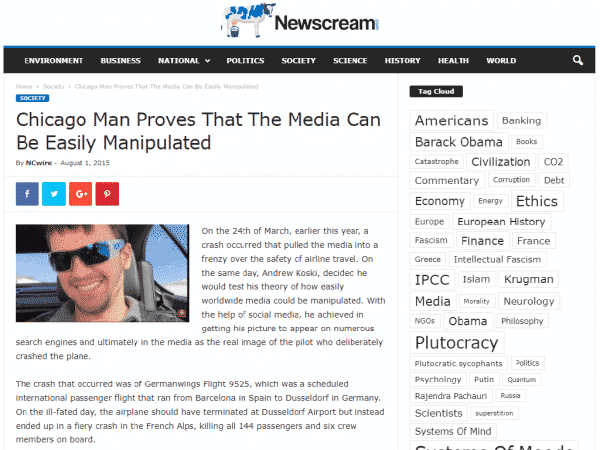 During the early period following the incident, he deliberately promoted his own picture as that of Lubitz for less than an hour. 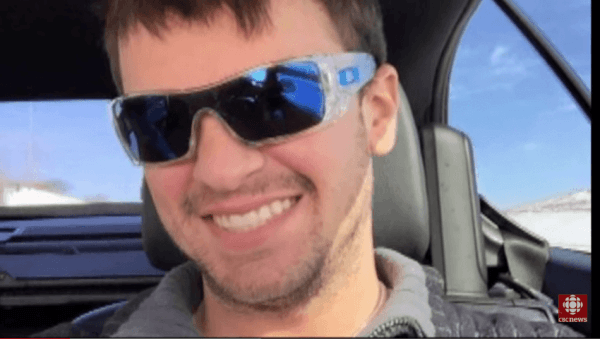 He pushed a picture of himself smiling debonairly while wearing sunglasses as the image of Lubitz through social media sites, removing the image shortly afterwards. 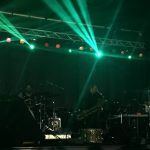 However the distribution had already started to take place through social and media outlets. Koski initially heard his theory had worked successfully from a friend in Germany who became concerned when he saw Koski’s image circulating as that of Lubitz. Now four months after the crash, his picture has been related in over 6,790 articles online including larger media outlets such as CBC News and International Business Times. Additionally some search engines had picked up Koski’s picture as the default image for “Andreas Lubitz.” This goes without saying, the image has also been shared thousands of times on social media as well. Currently there are other prominent pictures of the real Lubitz taken while jogging but they are far outweighed by the candid shot taken and distributed by Koski. Following the horrific crash, many European and world airlines have implemented new guidelines to attempt to ensure no further suicidal crashes occur. For example, they have recommended that at least two crewmembers, including one pilot, are in the cockpit throughout the duration of a flight. Koski ultimately hopes measures will be taken to reduce easy manipulation of the media by individuals to ensure the accuracy of news reports to the general public.